Bathing has certainly evolved from regular showers to something more indulging like steam bathing. These days, you no longer have to go to a spa or sauna to experience this bathing pleasure. All you need is a steam shower room. It can be just a simple self-contained enclosure with devices that can create and trap steam. However, many people opt for more and since it is now technologically possible, many other advanced features are included in modern steam showers. Digital control panel. Modern steam showers are now using digital control panels for ease of use. Some also have remote controls so that you can operate it before entering the cubicle. Electronic controls make it easier to adjust the temperature, time and other features. Seat. Seating is essential, so you can relax inside your steam shower. Even if you have a small enclosure or a large shower room, there are different options that suit your needs. Comfort is a top priority, so the seat must be smooth and solid. Mood lighting. Mood lighting is a new trend in bathing that features variation in light colours for the mood-altering effect of chromatherapy. This is a kind of light therapy that experts say is good for holistic wellness. Colour psychology says that exposure to certain combinations of colours promotes health and wellness such as improving focus and feeling more relaxed. Some steam showers feature mood lighting fixtures with miniature coloured lights for a new bathing experience. Red is said to boost energy and green for calmness. Aromatherapy. 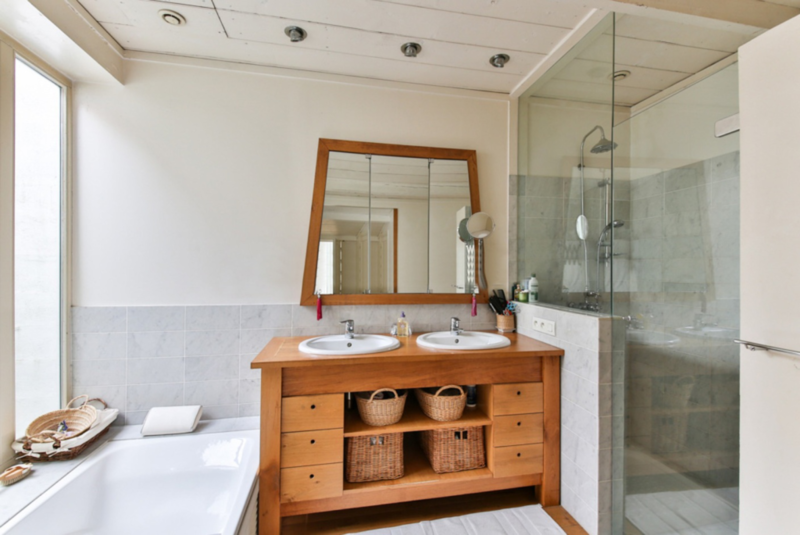 Many homeowners now incorporate aromatherapy to elevate their steam shower experience. Since aromatherapy uses essential oils to improve well-being, it is incorporated into steam showers in different ways. Some use an aroma pump that directly feeds oils into the steam line. Others install a fixture where the oil is placed. Fog-free mirror. Some people like to have a mirror inside the shower to make shaving possible. Fogging is a major inconvenience, but fog-free mirrors offer a solution. These are specially coated mirrors for protection against extreme humidity. Fan. Ventilation fans offer better air circulation within the enclosure. Ventilation can also help regulate humidity in the room, though it is not necessary because steam condenses and runs down the drain after every steam bath. Music. It is now possible to shower while listening to your music playlist through built-in audio input in a steam shower. This connects to music players, CD players, and other external devices. There are remote controlled systems with waterproof speakers and in-shower remotes. Advancement in technology has certainly made many things possible including vapour-proof speakers and a radio tuner in your steam shower. Bathing has become more personalised to fit the needs of busy people. Take advantage of the benefits of steam showers and you can have the daily indulgence of a spa-like experience right in your own home. Check out the features available, and decide on the ones that you really need. Work with professionals who have in-depth knowledge about it for a worthy investment.